Done right, fried chicken is one of the world’s great edible experiences but it’s all about proportions of taste and texture. The coating needs to hug each piece of poultry in just the right embrace. The greaseless, golden-hued crust must flake and shatter shards at tooth touch, and not a moment before. Magnificence can (and occasionally does) make itself manifest in an elusive duet of rugged exterior and moist and juicy meat. No one wants to eat greasy filth or stodge sarcophagi so I selflessly set myself the task of finding the king of the fast-food chicken coop. I launched, a somewhat tongue-in-cheek, investigation into the relative merits of the two main fast food fried chicken brands available in South Africa. 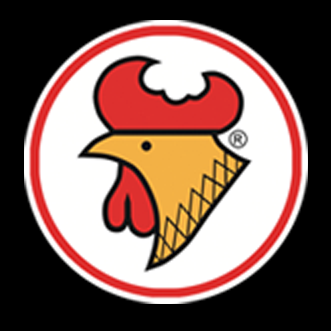 Chicken Licken and Kentucky Fried Chicken (KFC) were compared and results suggest that there are strengths and weaknesses in both varieties .On both menus there were items that should be added immediately to all our bucket lists while others were frankly foul. In recent years, fried chicken has gone posh nosh. Thomas Keller marinates his fried chicken in brine flavoured with lemon and thyme before dipping it in organic buttermilk and frying it in a mixture of lard, butter and cured ham fat. In Cape Town Lefty’s offers an ironic hipster southern fried chicken served on waffles with bacon and syrup. Gangnam BBQ in Cyrildene, Johannesburg serves a great example of the other KFC (Korean fried chicken) in which the sweet, hot , fragrance of Ottogi curry powder coating is triple fried for super crunch. For the record, both taste considerably better than either fast food form discussed below but that’s not a fair fight. They take longer to produce, they cost much more and they are less readily available when the chicken craving comes. The bottom line is that fast food chains operate 24 hour drive-thrus so they are always open in an hour of need. I visited KFC and Chicken Liken at comparable times on comparable days in comparable areas of suburban Johannesburg. On each occasion I ate in. both times I ordered a non-spicy, original-recipe thigh and drumstick combination and then a small portion of piquant wings. Commercial brand names differ but the core concepts are very similar. I assessed each portion in terms of crust, chicken quality, greasiness, and overall flavour. I also evaluated service and restaurant cleanliness. Water was used to palate cleanse between bites. The non-spicy recipe was tasted first in both cases. On a subsequent evening, I made the same orders to take-away. At first glance, KFC is definitely the prettier of the two fast food options. The golden-brown relief map of its crust suggests the platonic ideal of fried poultry. Looks can be deceptive and the KFC Original Recipe crust proved to be both oily and soggy to the touch. It turns out that finger licking good is not just a tag line. Digits require wiping, if not necessarily licking, after an encounter with KFC Original Recipe. The crust peeled away rather than being cracklingly crisp. There were white, globby bits between outer crust and the meat that I initially thought were lumps of fat attached to improperly cleaned flesh but may in fact have been uncooked flour. Despite the failings of crust texture, it tasted perfectly pleasant. KFC make a great deal of marketing sound and fury about their secret spices so I cannot confirm my sense that onion powder, perhaps garlic powder and white pepper are the predominant flavours in the seasoned flour coating of their Original Recipe. The KFC restaurant was clean. Service was fast and friendly but this was in part because their Original Recipe pieces were pre-prepared and lined up on a warming rack when I arrived. Speed is a mixed blessing – I suspect that part of the sogginess was the result of my food having started to sweat while waiting to be served. Meat was disconcertingly juicy – as if it was condensed steam that was dripping out not meat juices. A request for information as to cooking methods resulted in a KFC PR statement which contained the line “after the chicken is cooked, it is kept for a specific holding time at a precise temperature to make sure it’s kept hot and fresh.” Perhaps I arrived at the very end of said precise period. Fried chicken should be golden skin atop a pearly white expanse of flesh but at KFC the underlying flesh was grey and goose bumped. Perhaps the greyness was introduced by the brining process. Brining is a standard part of classic American-style fried chicken recipes. It is part of marinating and adds flavour not bulk. Generally spices are added to the salt solution and the idea is that the flavours are drawn them into the meat during the osmotic interaction. Many traditional Southern Fried Chicken brine recipes include molasses, herbs, sugar and salt. Secrecy reigns at KFC regarding the nature of their brine but the chicken, when stripped of its coating, has a salty, waterlogged quality suggesting that the brine might charitably be described as unexciting. So far, not so good but I defy anyone to remember the flabby Original Recipe after an encounter with the magnificence that is the KFC Zinger Wing. Here the juxtaposition of textures was superb. The crust shattered to the bite and yet came away clean. This was in stark contrast to the Original Recipe portions where the entire outer surface rips off in a soggy sheet. The effect was light and not greasy, like good tempura. The proportions of crunchiness: juiciness, chewiness and savouriness were perfect. There was lots of crunchy peppery surface area and sweet succulent meat. The nicely nubbly crust had depth of flavour with mellow, earthy paprika heat followed by an addictively lashing chilli blaze. Zinger Wings are a less common order than Original Recipe and as such mine were fried to order – which is probably why they were so gloriously good. No waiting around on a rack for these tingling lipped pleasures. Chicken Licken is the home-grown fast food fried chicken brand. When I ate-in I waited a reasonable seven minutes for my food to arrive. There were sensible signs showing customers where to order and where to queue to collect. Even on the busy lunchtime of my visit the system was working relatively well. Clearing tables was working less well. The venue was very messy. Trays from customers long gone were left lying about and were attracting flies. Bins were beginning to over flow. Dustbins were dodgy but the original recipe chicken had the kind of authentic crackly coating that induces sentimental sighs. Light savoury and crisp, Chicken Licken’s original recipe offering was much less greasy than that of KFC. 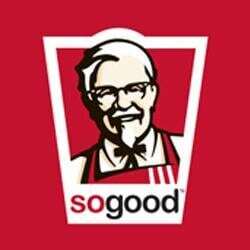 Although I ate-in, I would suggest that this is the best eat-while-you-drive fried chicken brand in South Africa. The interior flesh was slightly dry and tasted neutrally naked when stripped of its outer crunch but it was well cleaned and without surplus fat. No mystery globby bits. Sadly, my subsequent order of Chicken Licken Hot Wings was less impressive with a one dimensional peppery after-burn rather than a rich and complex chilli flavour. Take-away works less well than eat-in for both brands. Sweating fried chicken is not good and neither company has decent air vents in their packaging. I found that both varieties needed to be crisped up in the oven in order to be even remotely comparable with the eat-in experience. The only advantage of take-away is that both products were greatly improved by wine and only soft drinks are on offer as eat in options. True gluttony is a bag of Zinger Wings accompanied the spicy, floral, tropical fruit aromas and flavours of a good Gewürztraminer. The wine’s light sweetness cuts through the heat of the spice while the firm acidity helps to balance the richness of the fried fowl. Bliss at its best. Previous articleDavid Donde: Where is the world’s best coffee from? Next articleMarthèlize Tredoux: Time to insist on the blindfold? What a brave woman. KFC is the culinary equivalent of a Brazil wax for a man. If ever there was a guarantee at the end of a meal, it is when you have anything Zinger. You are guaranteed to have ring sting.